Today's vehicles are controlled by sensors and computers. Vehicle diagnostics are the mechanics involved with identifying and assessing problems that may negatively affect the normal operation of your vehicle. Diagnostic testing is essential for precision automotive maintenance. Periodic inspections of your vehicle are the best way to reduce the chances of unexpected breakdowns and costly repairs, and to accurately determine specific causes for mechanical malfunctions. 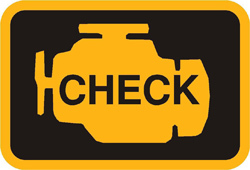 There are many reasons that the 'Check Engine' light appears. A diagnostic scan can identify specific codes relating to the vehicle's on-board system, helping to detect problems. Armed with the results of the diagnostic scan your EAC Technician knows what it will take to fix your vehicle. 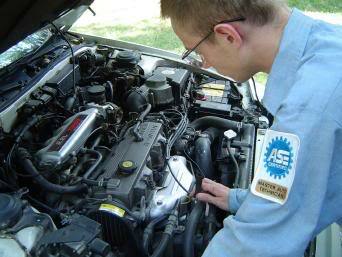 EAC has ASE Certified trained technicians and state of the art technology to handle all diagnostic results. Knowing what is wrong, however, is still only half the battle. The highly skilled and certified technicians at Excellent Auto Care & Tire have the proven knowledge to get repairs done right the first time and according to industry standards.